WASHINGTON — President Donald Trump suggested Friday that he would lift sanctions his Treasury Department had just announced it would impose on two Chinese shipping companies for allegedly violating existing prohibitions on providing goods and transportation services to North Korea. "It was announced today by the U.S. Treasury that additional large scale Sanctions would be added to those already existing Sanctions on North Korea," Trump wrote on Twitter. "I have today ordered the withdrawal of those additional Sanctions!" The sanctions — which the White House did not immediately confirm that the president's tweet was in reference to — were actually announced Thursday by the U.S. Office of Foreign Assets Control, which is an agency under the Treasury Department. 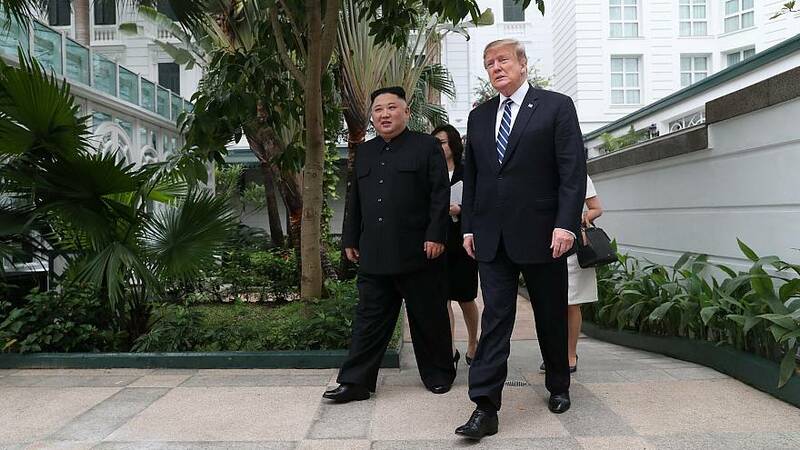 White House press secretary Sarah Sanders explained the president's decision as a courtesy to North Korean leader Kim Jong Un, with whom Trump broke off denuclearization talks in Hanoi last month. But, at a time when Trump is eager to strike a trade deal with China, the relief from sanctions that Treasury officials imposed may go over well in Beijing. In announcing the sanctions Thursday, Treasury Secretary Steven Mnuchin said the U.S. government wanted to make clear to shipping companies that they could not do business with North Korea. "The United States and our like-minded partners remain committed to achieving the final, fully verified denuclearization of North Korea and believe that the full implementation of North Korea-related UN Security Council resolutions is crucial to a successful outcome," Mnuchin said. "Treasury will continue to enforce our sanctions, and we are making it explicitly clear that shipping companies employing deceptive tactics to mask illicit trade with North Korea expose themselves to great risk." However, senior Trump administration officials also said Thursday that "the door is wide open" to more talks with North Korea, telling reporters that President Trump remains "personally engaged" and also wants contacts to occur on the working level, although they wouldn't disclose whether any such contacts have occurred since the summit between the president and North Korean leader Kim Jong Un.